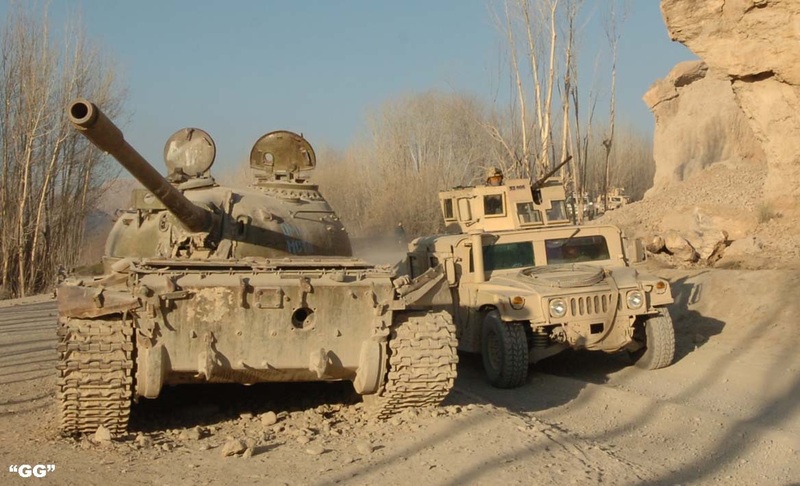 A US vehicle passes a reminder of the Soviet experience in Afghanistan. Steven Metz has just published a good article in World Politics Review titled “What are the Real Lessons of the Afghanistan War?“; it is well worth a read. Being in a Coalition Obscures. The UK was a senior Coalition partner in both Iraq and Afghanistan. However Coalition strategy is by necessity a strategy of compromise between the differing constituent national interests. This means that both the ‘what’ of national interest and the ‘how’ the strategy will achieve this may not be immediately apparent. It also means that that while failure is deniable (and in the modern political system this plausible deniability is very attractive) it is also correspondingly more difficult to take credit for when things work. Influence must be resourced. The UK was the biggest of the rest in terms of military commitment both Iraq and Afghanistan. However compared to the US commitment the UK’s commitment was small. The UK never fielded a division in Iraq or Afghanistan after 2003; with less dog in the fight there was less influence (as clearly perceived by Churchill in WW2, his direction on British force ratios compared to US in the invasion of France were explicit). Influence is directly proportionate to capability delivered. As is evident from Lieutenant General Bolger’s book “Why We Lost” British military influence suffered in part from being perceived as the “poor cousins” who could perhaps talk the talk (and weren’t shy in doing so) but couldn’t walk the walk. However it must be noted that influence is not just garnered through conventional military capability, although that is the most obvious. Hidden influence cannot be credited. The UK garners significant influence through its ability to wield the levers of ‘soft power’ especially Information and Diplomacy. However such influence is often understated and behind the scenes and while it may be credited behind the scenes it is hard to weave such influence into a narrative of constructive and significant British contribution at the strategic level. The image increasingly becomes one of a British poodle dancing to the Washington tune, this makes it hard to maintain domestic support. Domestic political fragmentation makes enduring commitments less likely. At the strategic level the nature of war makes it difficult to disentangle the character of politics from the character of war and the character of the strategy involved. 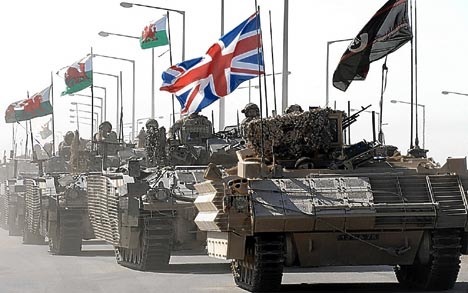 In the UK the fragmentation of the domestic political landscape (a fact mirrored across Europe) has made it increasingly difficult to maintain a consensus on military intervention. This is closely linked to the fragmentation of the news space where people actively seek out a news narrative that supports the perception they wish to hold, making building consensus and support harder. This means that unless the political landscape changes, limited interventions such as Libya and Iraq (2014 – ) will probably become the norm. Such interventions are characterised by being short in time and/or limited in means and designed to meet a simple political narrative, normally moral and emotive in nature. Long term strategy and hard headed national interests may be addressed, but not necessarily in the narrative and secondary to immediate political expediency.